The acoustical design issues for buildings involve the principal issues like site noise considerations. In any heavily populated area, there is enough activity going on at once during the day to generate all kinds of sounds across the audible spectrum of human hearing. Planes take off and land, traffic moves along roadways, construction crew repair roads, dogs bark, music blares, sirens sound, and lawns are mowed, etc. The information contained in this article about library acoustics is intended as a source for these standards. 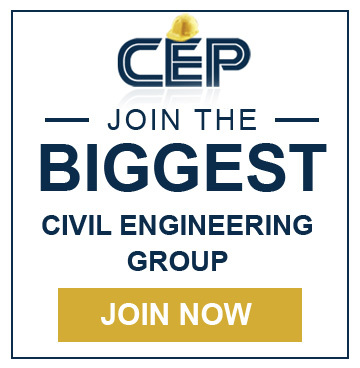 As the architectural and engineering design of the project evolves, the design should be reviewed in light of the agreed upon acoustical programmatic requirements for the building project. Sound and Noise Sound waves in air result from a physical disturbance of air molecules, such as when a truck drives by a building or when guitar strings are plucked. Sound waves combine and reach a listener via numerous direct and indirect pathways. The listener’s inner ear contains organs that vibrate in response to these molecular disturbances, converting the vibrations into changing electrical potentials that are sensed by the brain, allowing hearing to occur. Unless it is a pure tone, a sound wave is typically made up of vibrations at different frequencies. Like the impact of a stone in a lake, ripples in the water are created that are analogous to sound in the air. The frequency is basically the number of waves that pass a single point in one second, moving at the speed of sound in air. One wave per second is a frequency of one hertz (Hz). A frequency of 1,000 hertz is a kilohertz (kHz). It is the capability of surface to absorb sound instead of reflecting if the construction in reflective nature the sound will continuously move. Surface absorb the sound is the better option to control its movements rather than its reflection. Some of the comma material like gypsum wood concrete bricks and tile are fairly reflective in nature and do not absorb much sound ,and some of the material like carpet , foam, padding and fiberglass insulation are the best sound absorbing materials. The use of absorbing material can be use full in monitoring of sound. Fiber glass insulation is dominantly applied where control of sound is concern. Thick carpet and padding is also very absorptive and acoustic ceiling tiles are design to absorb rather than reflect. Furniture with thick cushioning is extremely absorptive are 6thick and heavy curtains and daps item are arrange in such a way that reduces the flow of the sound. It deals with the interior construction of the site that how sound will control from room to room and also from out door to indoor. The transmission of sound also decreases the sound energy when it passes through any building element. Every material possess different transmission loss and different diffusion of sound. The highly dense material increases the weight of the floor and resisting more sound to pass through it. Decoupling is another case of controlling of sound. A break in framing or a resilient dry wall connection break the path of vibration for the sound wave causing it to halt. This is the most effective method of controlling hard and strong and low frequencies which are the hardest to block. Blocking airborne sound through gap is also effective through gaps and cracks. There are plenty of special material available for sound control These are designed to provide advantage over traditional material and are designed for the use where controlling of noise level is great concern . Many material can be used during an initial build or installed at a later date some of the common example are listed here. 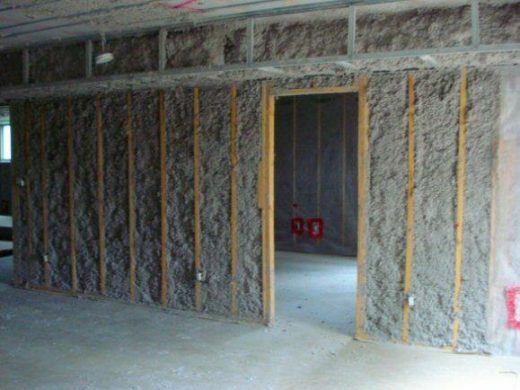 •	Mineral fiber insulation is a special type of denser type of insulation which will improve the sound proofing .as if the density is much higher than the traditional fiber glass so it will make it more effective at stopping the transmission of sound from one room to another. •	Sheet of limp mass dense vinyl sound barrier are available for covering flat surface. The sheet are flame retardant and easy to install with plastic cap. These are also available with an adhesive backing for even easier installation. •	FLOOR DE- COUPLER CAN USED … de-coupling a floor is an effective way to minimize sound transmission these floaters can be placed between the existing floor and a new level of flooring. •	Resilient channel are pieces of metal made in a special shape that gypsum board or any type of dry wall can be attached to in order to minimize sound transmission. Drywall is the isolated from framing in this manner will transmit for less sound. Sound is an energy which defines any disturbance of air ground water that produces a sensation of hearing. Transmission of sound facilitate enjoyable experiences such as listening to music, spoken communication to family and friend. Creation of sound is the disturbance in the air, that setup a series of pressure wave fluctuating above and below the normal at pressure. Such as a stone that fall in water generate expanding ripple on the surface. Our ears sense these pressure fluctuations convert them to electrical impulses and send them to brain, where they are interpreted as sound. There are different sources of sound in buildings , i.e. communication, human activities , fluorescent light, air condition, furniture movement noise, clock and fish tank etc. apart from this some of the external noise in building such as traffic movement, noisy street, entertainment device and machinery. These are all generating small -small variation in pressure about a static atmospheric pressure. The main sources of noise is the transportation, industries, equipment any other mode that produces pressure variation in the frequency range audible to ear. The sources may be point, line or plane. Noise in building may propagate throughair, and various structural member, that are AC duct and water supply pipe etc. The effect of noise pollution on human health indicate a variety of health effect, noise can affect human health in various form such as irritation reaction, sleep disturbance, interference with communication, performance effect, effect on social behavior and hearing loss and also it indicate a number of headache, greater susceptibility with minor accidents, all the health hazard are due to noise based intensity are describes below. Quantitative information on the effect of airborne noise on people is well documented. If sufficiently loud, noise may adversely affect people in several ways, For example noise may interfere with human activities, such as sleep, speech communication, and task required concentration or coordination. It may also cause annoying and hearing, damage and other psychological problem. Although it is possible to study these effect on people on an average or statistical basis, all the stated effect of noise on people very greatly with individuals. Several noise method are used to quantify the effect of noise on people and the method considered such factor as loudness duration time of occurrence and change in noise level with time. The hearing of direct and reflected sound is the physical characteristics which pertains in an acoustical room. Speech intelligibility and control of background noise level is the principal issue in libraries. Unwanted background noise and inability to understand speech is created due to the persistence of sound in poor acoustical rooms with high level of reflected sound. Rooms have high reverberation time, where sound absorbed are gradual and reduced below hearing levels, requires more time. Properties of sound absorption is in every material. Transmission or reflection should be done on sound energy which is not absorbed. Sound absorption coefficient at a particular frequency range is described as a material property of sound absorption. In buildings sound absorbing materials used are rated using Noise Reduction Coefficient (NRC), which is basically a type of average of sound absorption coefficients from 250 Hz to 2 kHz, the primary speech frequency range. From perfectly absorptive (NRC = 1.0) to perfectly reflective (NRC = 0.0) NRC theoretically ranges. In library it usually becomes an interior design issue by adding sound absorbing material to a space. Attractive and maintainable, sound absorption options provided on walls and ceilings are possible. Fabric, perforated metal and spaced wood slats are absorptive materials often covered with acoustically transparent surfaces. Material located behind absorbs the sound energy which is passed through the surfaces.The acoustic blanket and handsome ceiling in public area are screened effectively by wood slat panel which is shown in Figure. 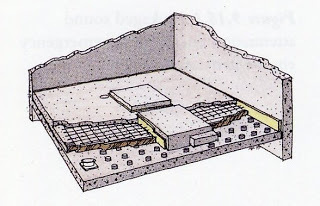 Certain finish appearance is commonly created by perforated metal panel as shown in Figure. The smallest hole diameter and greatest open area with material as thin as possible. Suspend acoustic baffles for adding acoustical absorption to the space is another approach shown in Figure. 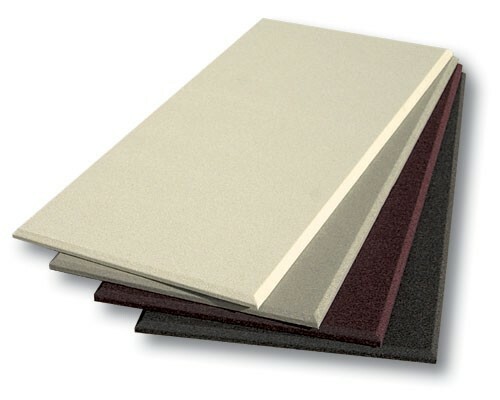 Contoured surface of foam increases the surface area because of which open cell foam panels are effective sound absorbers. Open copy machine area illustrates an application in Figure. Fabric-covered absorptive material another type is shown in Figure. A television in the next room, a loud neighbor walking on the floor above, or a jet flying over are unwanted sound intrusion which is experienced by everyone. To reduce intrusive noise often measures are required. In buildings through sound barriers transmission of sound is reduced which is one of the most essential techniques in acoustics. Sound Insulation is referred to this form of sound reduction. Sound transmission loss (TL) is defined as an intervening solid panel of material the absorption or reflection of sound energy from one building to another is reduced. High frequency noise than low frequency noise is attenuated more by building materials. To vibrate wall, force required is more when mass or weight of wall is high. Transmission loss is high at all frequencies than a lighter panel, in massive wall because of this reason. By increasing wall thickness and isolating one side of the construction from the other is another way to increase the transmission loss of a panel or construction. A single stud wall and one layer of gypsum board on each side having an STC rating of 35 in a building is separated by a standard partition. Instead of wood studs, light gauge (25 gauge) metal studs can be used to improve acoustic performance of the standard wall. 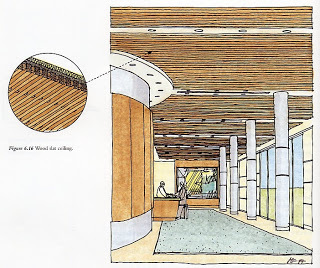 By adding insulation within the wall cavity, providing a second layer of gypsum board on each side of the partition, or possibly using staggered stud construction the sound isolation can be accomplished in a library. STC ratings in the range of STC 45-50 are recommended where offices requiring confidential speech privacy and conference rooms’ areas programs are included. Two acoustical functions are performed by Floor and ceiling assemblies. The sound of footfalls and other impact sounds from an upper floor (impact insulation) are reduced and also they provide acoustical separation between adjacent spaces (airborne sound insulation). By decoupling ceilings from the structure and by altering floor finishes impact insulation and airborne insulation can be upgraded. 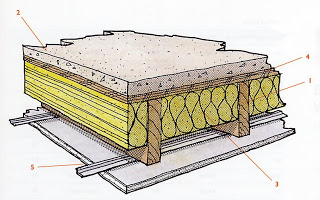 By adding a lightweight concrete topping slab, fiberglass bat insulation, resilient channels and a second layer of gypsum board a base assembly can be upgraded from STC 37 to STC 58 which contains plywood subfloor, joists and gypsum board as illustrated in Figure 4.9. While designing a building a great concern is noise and vibration of mechanical and electrical equipment. The electrical power will generate noise and vibration so proper consideration should be convey while designing. The recommend project of any acoustical design sequence of any building project is given below. Space planning is expensive in noise controlling techniques. Avoid the location of room and house near mechanical equipment room and electrical transformer room. If this location is unavoidable then it is compulsory to introduce costly sound isolation techniques such as floating floor. A floating floor consist of second concrete slab installed on neoprene pad and a layer of insulation. In urban areas pollution comes from many sources some of them are activities essential to health, safety and welfare of cities inhabitant and again the noises from emergency vehicle siren, garbage collection operation, and construction equipment’s. 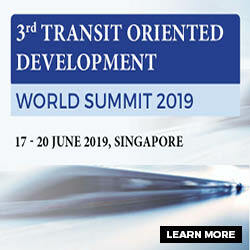 Other sources, such as traffic, stem from the movement of people and good, activities that are essential to viability of a city as a place to live and do business. Although all these and other noise producing activities are necessary to a city the noise they produce is undesirable. 1- A screening analysis to determine location where traffic generated by the proposed action would have the potential to cause significant noise impact. 3- An analysis to determine the level of building attenuation necessary to ensure that interior noise level in proposed buildings satisfy applicable interior noise criteria. Summarized conclusion is that the traffic generated by the proposed action would not produce significant increase in noise level at any location within or adjacent to the rezoning area. 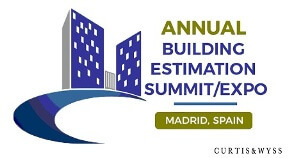 In addition with the implementation of the proposed design measures noise level with in the proposed buildings would comply with all applicable requirements. Design and built in noise control building by TATA Construction, Banglore, India. Engineering of noise control by World health organisation. Noise Control in Building by McGraw-Hill. Noise control strategies for naturally ventilated building from journal of building and environment. Experimental study of sound propagation in a steel, Journal of Applied Acoustic. Design for noise reduction, Architectural press London. Fundamental of acoustic by John Wiley and sons. The reverberation time of furnished room in dwelling , Journal of Applied Acoustic. Er .M.A. Khan noise control building IJRDT volume 6 ,issue no 6 2016. 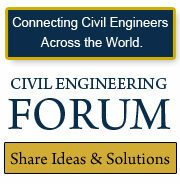 We at engineeringcivil.com are thankful to Mr. Maaz Allah Khan for submitting this paper to us. Which of the following stages is noisier, at the ending of pile driving operation or at the end of pile driving operation? How do noise adsorptive materials function?